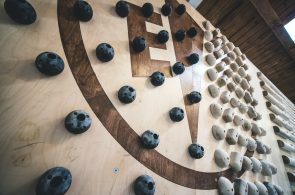 With the Olympics looming and the indoor climbing scene growing daily we talked to Ryan Sewell about all of that and more while highlighting their new bouldering gym. 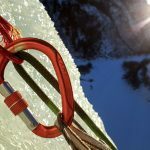 Climbers discuss the best beta for various climbs. Climbers relax and watch fellow climbers on the stadium seating. 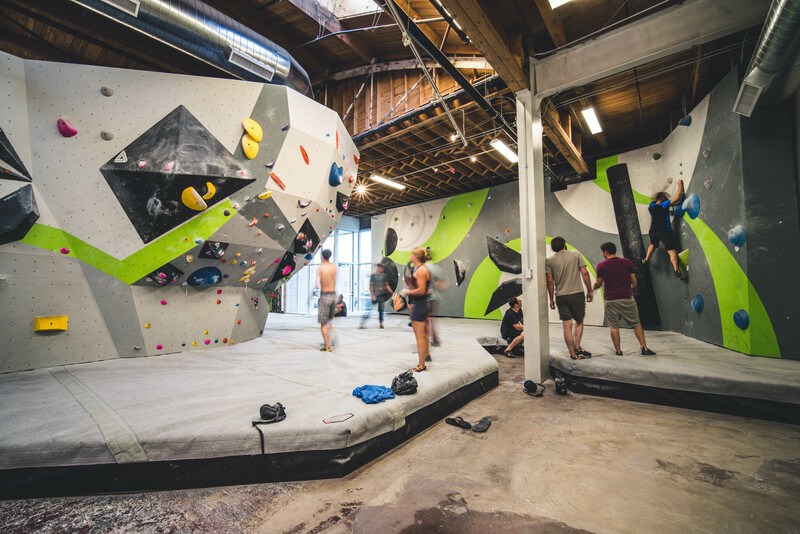 Open spaces and thousands of square feet of climbing space define the new RiNo facility. The independent structure offers varied climbing, interesting aretes, and mantels. Interested in training? RiNo has you covered with a Moonboard, campus rungs, and other tools to make you strong. 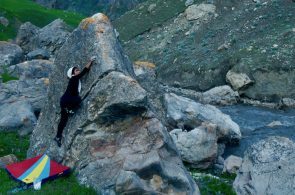 RiNo offers both steep and vertical climbing side by side. Big windows and glass doors help keep the building lit with natural light during the day. Hundreds of holds decorate the system board. The independent blocs do it’s best to imitate outdoor climbing. 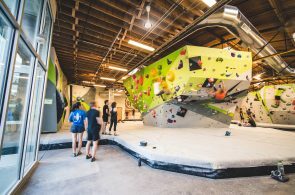 How did you get involved with climbing gyms and specifically Movement? I was 13 and looking for something new in the flat Dallas/Ft. Worth metroplex. I found climbing at Dynorock, one of the first climbing gyms in the U.S., built in 1993 I believe. 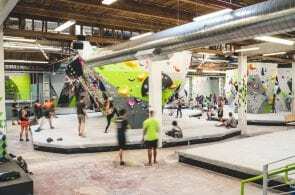 When I moved to Boulder in 2009 I didn’t have a job, so I reached out to Mike and Anne-Worley Moelter, who I knew from their work at USA Climbing, to see if there were any positions available for routesetters in the Boulder gyms. Mike said that he and Anne-Worley were building a new gym and could get me a job on the construction crew. After I worked for months of maintaining silt fences, blocking in bathrooms and painting ceilings, Mike asked what I’d like to do once Movement opened. I then worked my way up the ladder, eventually becoming the Head Setter at Movement Baker, and finally the Director of Routesetting for all three of Movement’s locations. What feature of the gym are you most proud of? I love the subtle aretes and dihedrals throughout the entire facility. 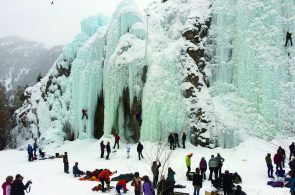 They keep the climbing unique while still allowing for the use of plenty of volumes. What classes—fitness or otherwise—are most popular at your gym? All of our yoga and fitness classes are a hit. We offer a core group of fitness classes year round, but we also include seasonal offerings such as Ski Fit or Trail Fit. What’s the most impressive thing you’ve seen in your gym? The turnout or the Walls are Meant for Climbing event we did in August. It was great to see so many climbers, both seasoned and first timers, from all different walks of life come out to support a great cause. 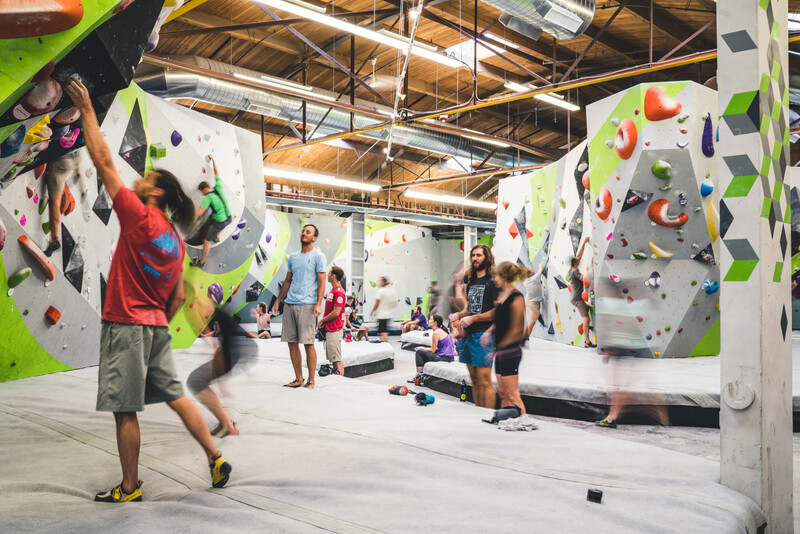 What is the key ingredient to creating a fun and supportive climbing culture in your gym? Creating a great gym culture. Our members and guests love climbing and hanging with other climbers. We do our best to be as present as we can be with the people who use our facilities. The more time we spend using the gym ourselves, the better chance we have of fostering a fun and supportive environment. 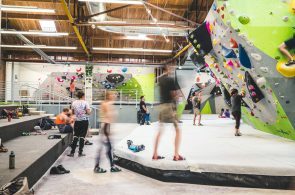 What do you like about working in the climbing gym industry? I get to wake up every day and do what I’ve wanted to do since I was 13. I’ve been doing this for 15 years, and still there are very few days where I feel like I’m going to work. Why did you choose to build a bouldering-only gym? 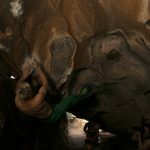 Bouldering is simple and welcomes newcomers. 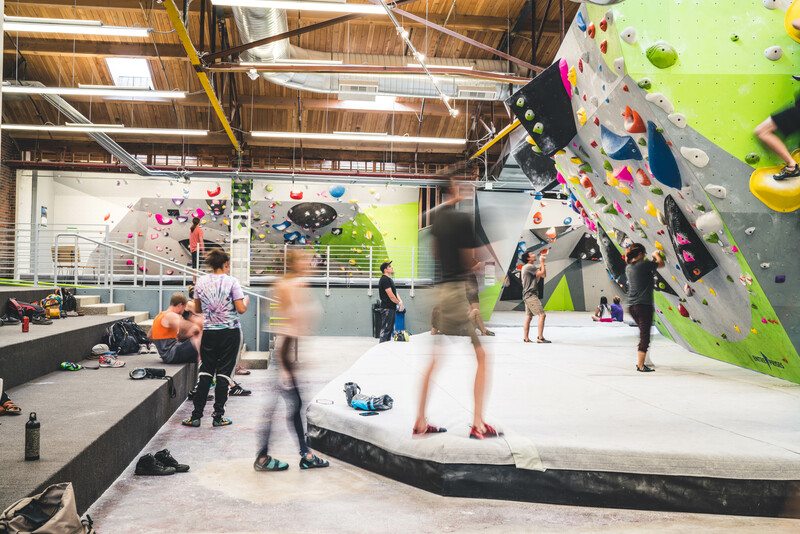 When people would come in to climb for the first time at one of our other facilities the go-to was to show them the basics of bouldering. 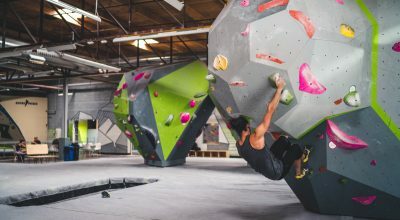 In addition to the newcomers, we have experienced a surge in the number of climbers interested in bouldering, because it’s community-oriented nature, obvious training applications, and simplicity due to not needing a partner. 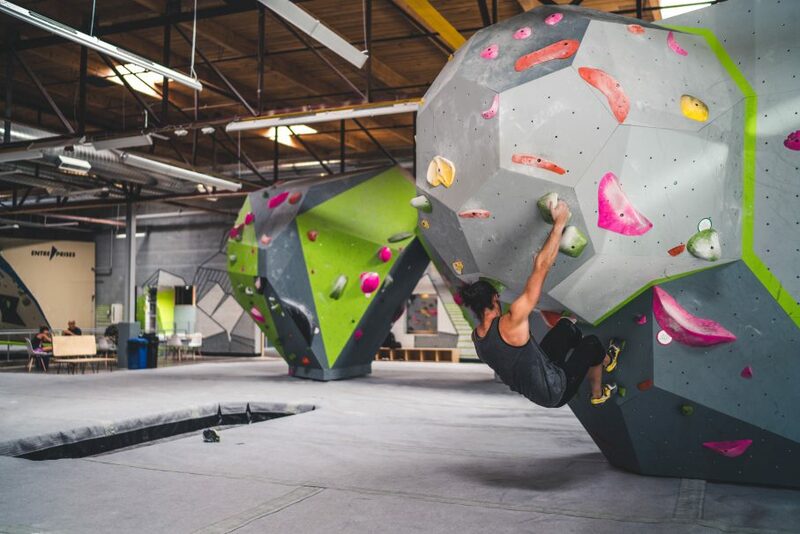 We also went with bouldering because the building we found was formerly a tin factory built in the 1950s and had some really beautiful architecture. By building a bouldering only facility we were able to keep the mid 1900s wood paneled ceiling. This felt like a must given how rare it is to find a building like this. 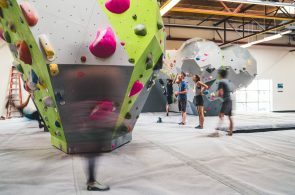 What has led to indoor climbing becoming so popular? 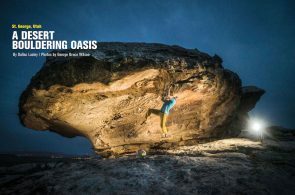 I believe that climbing is becoming increasingly popular because of its supportive and welcoming community, the self accountable nature of the sport and the fact that it’s a workout without feeling forced. Climbing is fun and it’s good for you! 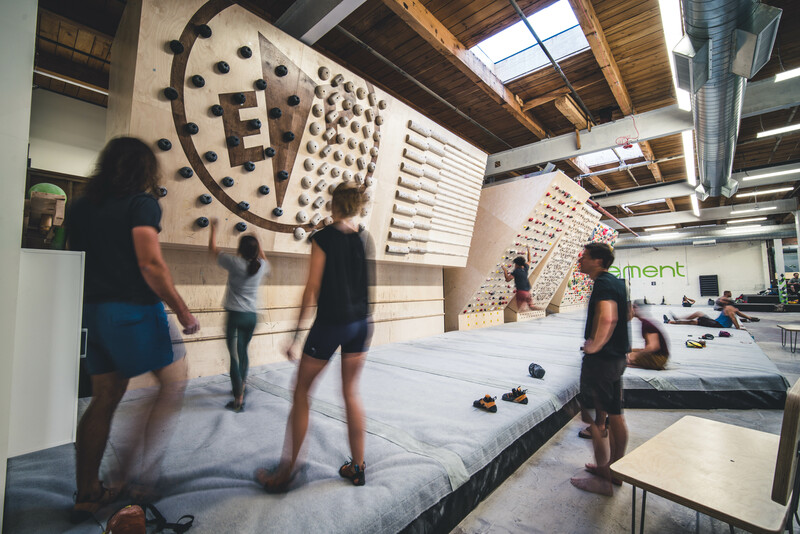 Movement gyms offer much more than just climbing, including yoga and weight lifting. Why is that and what else do you foresee gyms offering? 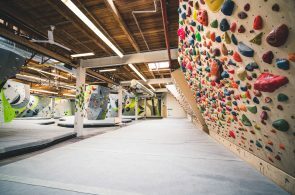 We see value in providing a legitimate climbing and fitness offering. We aim to eliminate the need for a gym membership and a climbing gym membership. Our fitness offerings are developed and managed by fitness experts, who in a lot of cases aren’t even climbers.. This lets us provide a true fitness offering that is competitive with fitness studios. At this point, the cafe and bar concept seems to be gaining traction—I imagine seeing more gyms including this offering. Do you try to set any world-cup style problems in your gym? We certainly do! In fact, we have an area that is designated to the more complex style of routesetting. How do you manage grades? Do you try to set “stiff” or “soft”? A sending customer is always a happy one. In RiNo we use a color circuit system that spans a grade range which is around 3 grades with some room for overlap between circuits. Within each circuit you may find some problems are easier than others both due to stylistic preferences as well as sheer difficulty. For example, the yellow circuit spans V2-4 so we do our best to keep a balance throughout the yellow circuit of V2s, V3s, and V4s. Do foresee any threats or slow down to the indoor climbing community? No, but the industry is becoming more competitive. As more gyms open, climbers have choices so we have to focus on our quality of service. 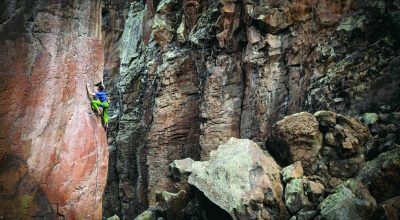 In the end, most climbers are dedicated to climbing as a lifelong passion, so regardless of what external factors come into the picture, letting go of climbing seems like a last resort. 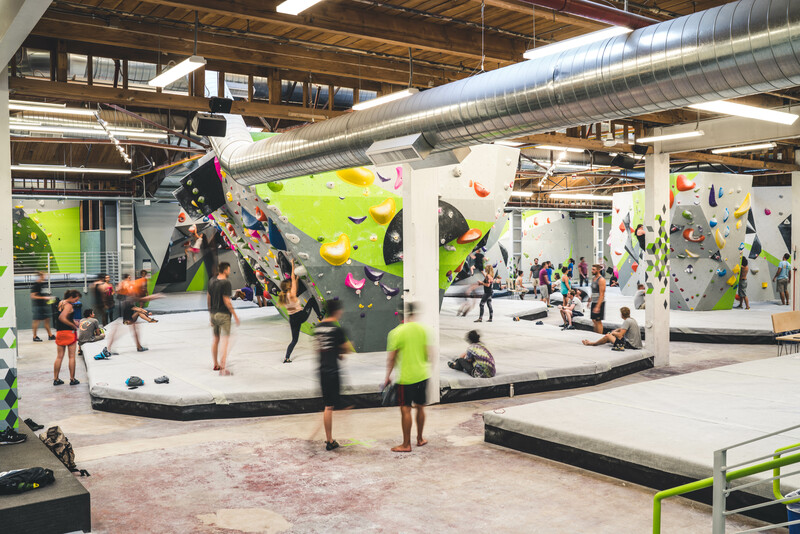 Your gym is attached to a brewery. How has that worked out? We are attached to a tap house and cafe, but they are not a brewery, and we are thrilled with what it brings to our community. The ability to grab a coffee in the morning, go to a quick yoga class, head off to get some work done in their wifi lounge, come back for a climbing session with your friends, and finally go out for a beer after is what it’s all about. Why did you end up working with Entre-Prises? We went with Entre-Prises for our second facility and had such a great experience we couldn’t imagine choosing another wall builder. 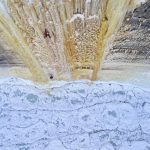 The experience with EP always felt like we were in lock step through the entire process, and if there were any hurdles as there usually are in any construction project the communication was excellent. 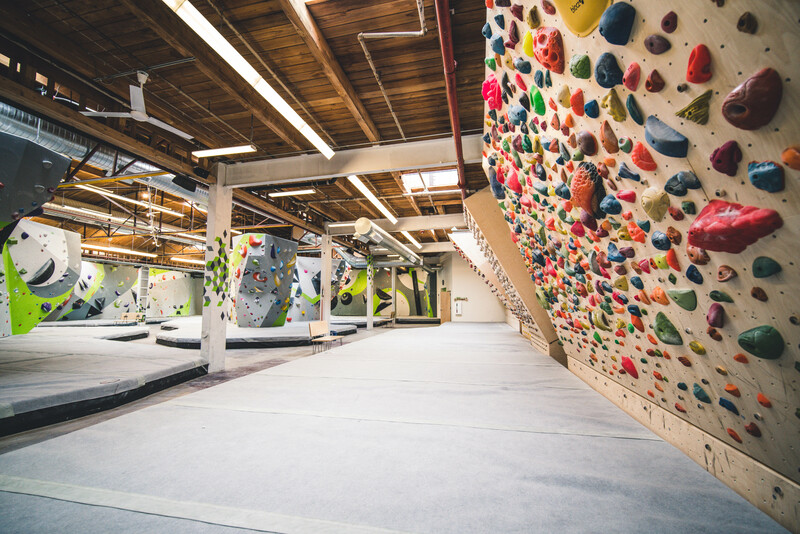 How will indoor climbings popularity will be affected by the 2020 Olympics? I would anticipate indoor climbing will see a spike in participation once the 2020 Olympics take place. There are still so many people out there that have no clue what climbing is, and once they see it for themselves I’m certain they’ll want to try it out.